The 357 Magnum was invented in 1934 and has been a favorite around the world ever since. 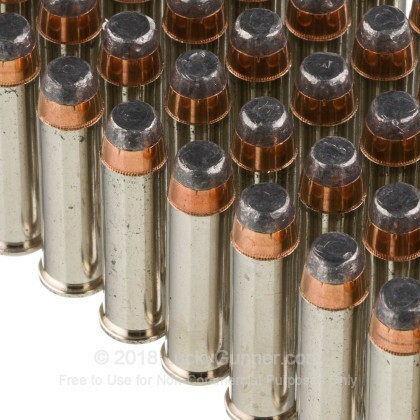 Due to its fantastic reputation for stopping power, this round is amazing for all your self defense needs and makes a great range round as well. 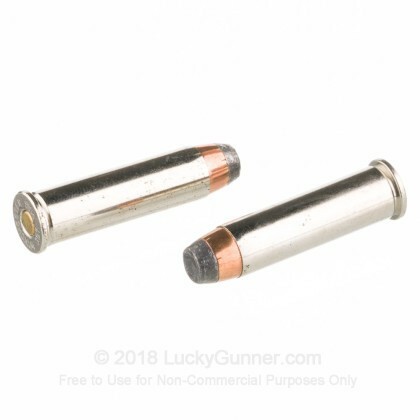 Proven through extensive use in all areas for decades, this round is perfect for all your shooting needs. 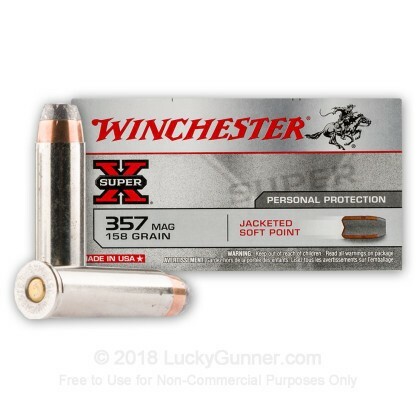 Winchester has been around for one hundred fifty years and has been making some of the best ammunition in the world ever since its debut right after the Civil War. 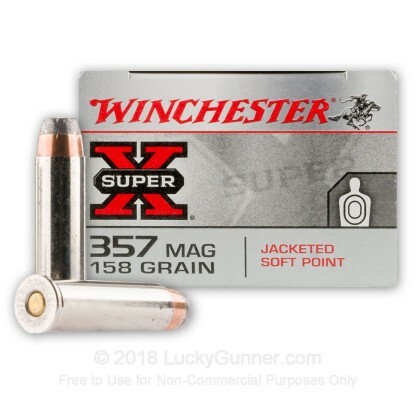 With these Winchester Super-X, 158 grain, jacketed soft point, brass cased, boxer primed rounds, firing at 1,235 feet per second, you have the reliability, accuracy, and power you need to not only defend yourself, but take down deer and boar as well, gibing you the highly versatile round you need. 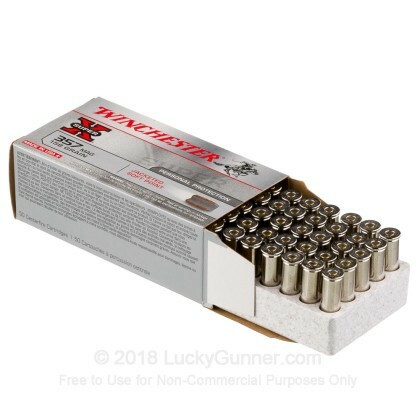 We don't have any reviews yet for this particular .357 Magnum ammo from Winchester. 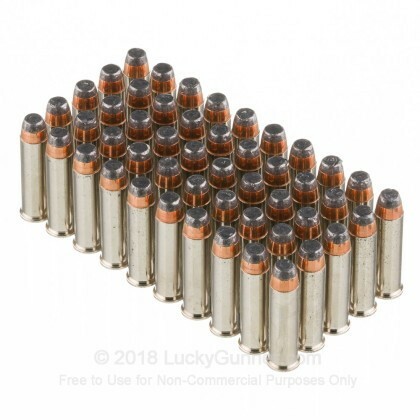 If you'd like to be the first to review this particular .357 Magnum ammo from Winchester, fill out the form below.